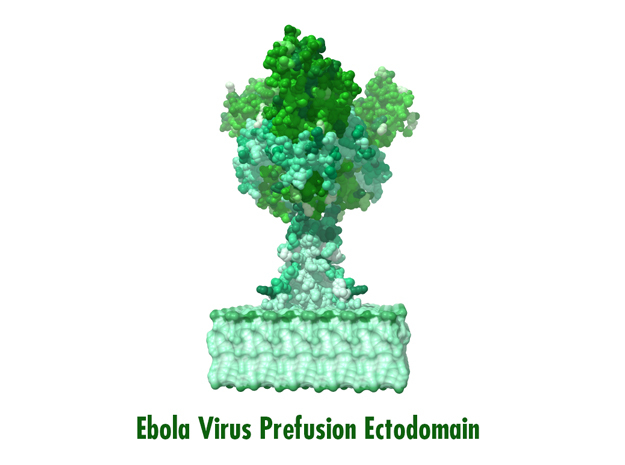 Ebola virus (EBOV) is a highly virulent pathogen capable of causing a severe hemorrhagic fever with 50–90% lethality. 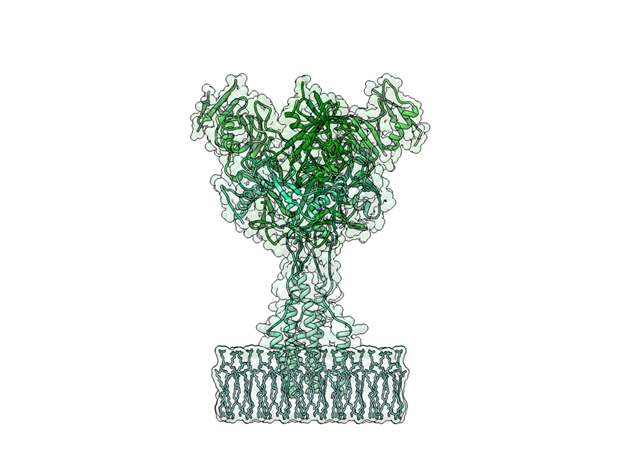 The EBOV glycoprotein (GP) is the only virally expressed protein on the virion surface and is critical for attachment to host cells and catalysis of membrane fusion. 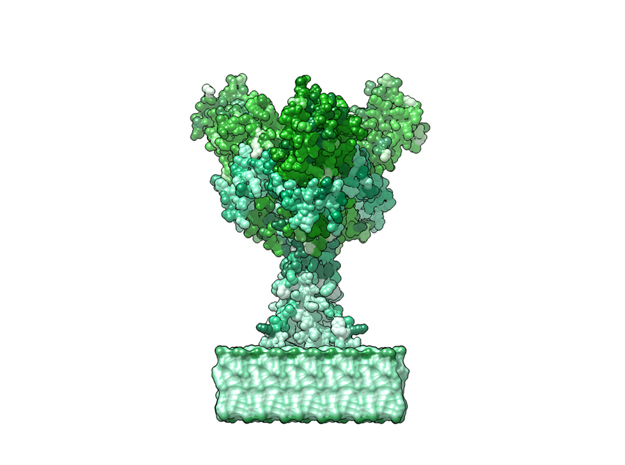 Hence, the EBOV GP is a critical component of vaccines as well as a target of neutralizing antibodies and inhibitors of attachment and fusion. 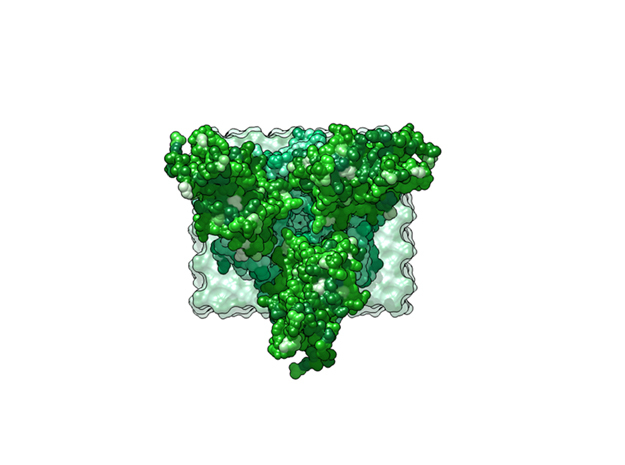 The crystal structure of the Zaire ebolavirus GP in its trimeric, prefusion conformation (3 GP1 plus 3 GP2) in complex with a neutralizing antibody fragment, derived from a human survivor of the 1995 Kikwit outbreak, was recently determined. 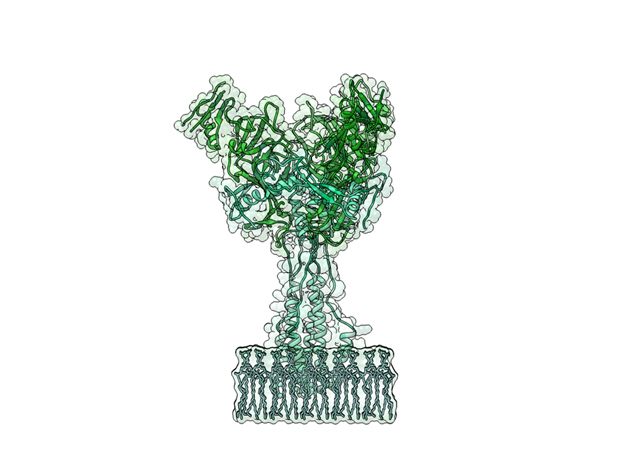 The ebola virus has a natural enemy, the human immune system. 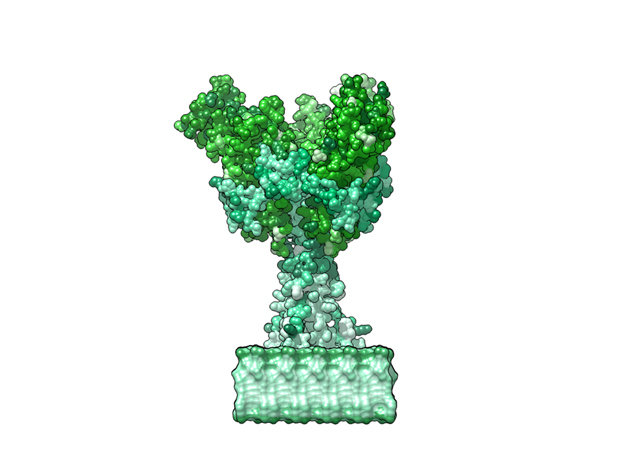 Those lucky enough to survey this deadly virus produce an antibody which identifies the virus for destruction. 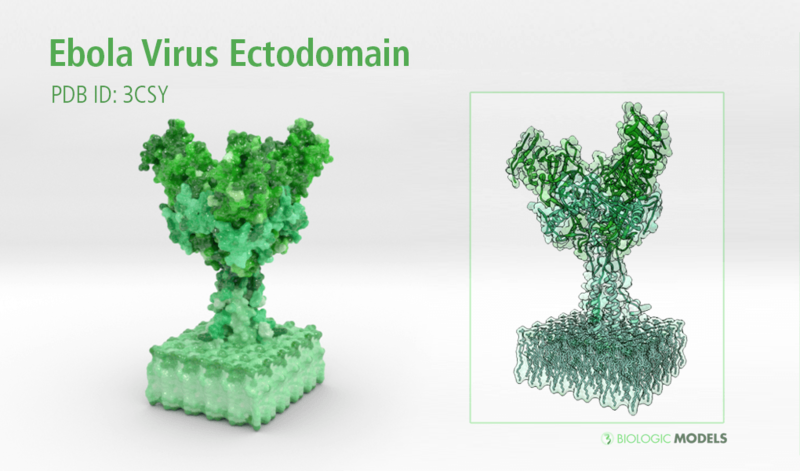 The above animation shows these antibodies attached to the ectodomains of the virus. This is a 3D print of x-ray crystallography datasets PDB IDs: 3CSY, 2EBO The protein surface color coding is defined by the glycoprotein’s Hydrophobicity. 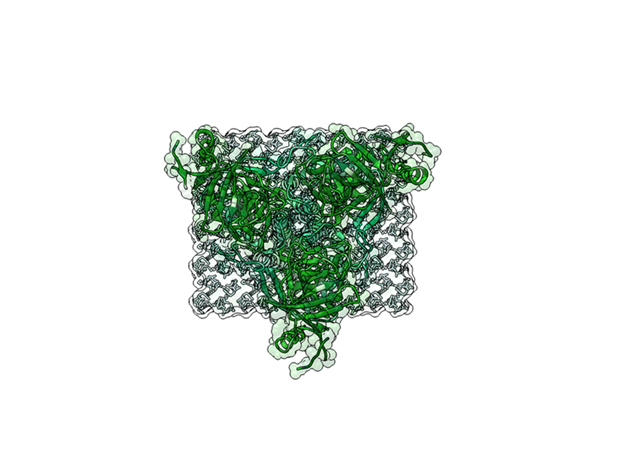 To delineate the different chains, we have colored the GP2-Glycoprotein-plasma membrane shades of green. The model can be printed in a variety of materials and sizes.